Planning a quick getaway with your family or friends? Whether it’s just to stay away from the hustle and bustle of the city, spend quality time with your loved ones or even have a chilled out weekend with old college buddies, hill stations are the perfect option, offering you the best that nature has to offer. And if you happen to be living in Bangalore, there’s really no shortage of hill destinations. With falls, rock formations, lakes and mountains, you’ll be spoilt for choice. We’ve listed out some of the most stunning hill destinations stations in Bangalore that you should check out this year. If you’re looking for a short break and don’t want to travel for too long, this hill station is the best option for you. It is very popular with Bangalore residents, which is why it can get a little crowded over the weekend, so we recommend you go through the week. Apart from enjoying the views and pleasant climate, make sure you visit Tipu Sultan’s summer palace, situated on the top of Nandi Hills for some great pictures. Traveler tip: You can try paragliding here if you’re interested. Located at an altitude of 1265 meters, this hill station is the perfect relaxing getaway. It is especially enchanting if you are a bird and nature lover as there are ample species to spot here as well as a large variety of trees such as Eucalyptus, Jacaranda, Allamanda, Gulmohar, Reeta, Amla, Beedi leaves, Blue Gum and Sandalwood. There are a number of places to visit too such as Lake Gangotri and Environmental Park. Traveler tip: Horsley Hills offers a few adventure sports like zorbing. Often compared to Ooty, this little town may be small but it’s big on nature and beautiful landscapes. The lovely weather makes it a great holiday choice all through the year, and there a number of things you can do here including hiking, trekking, boat rides and visiting waterfalls. Yercaud is known for its plantations majorly of coffee, orange, jackfruit, guava, cardamom and black pepper, so make sure to plan a short tour. Traveller tip: Its forests are filled with wildlife such as bison, deer, foxes, mongooses and a variety of birds – so make sure to carry your camera. Located at an altitude of 3400 feet at the foothills of the Mulliyangiri range, this hill near Bangalore is definitely worth a quick weekend visit if you’re chasing some peace and quiet. With its lush green forests, stunning mountains and serene streams, this is one of the most popular hill stations near Bangalore to visit during summer and it is especially loved by trekkers. You will also spot the rivers Bhadra and Tunga originating in Chikmagalur, which make for spectacular pictures. Traveller tip: This spot is especially popular with trekkers who want to get away from the city. If you’re looking to escape the summer heat, then this lush and peaceful hill station offers you a great break. An ideal place to just unwind and disconnect, Kemmangundi boasts of stunning landscapes and breathtaking waterfalls. The main attractions of Kemmangundi are Raj Bhavan, Z point, Rock garden, Hebbe Falls, Kalhattagiri Falls, Baba Budan Hill and Bhadra Tiger Reserve. Traveler tip: Don’t miss the sunset from Raj Bhavan – it’s outstanding! Fondly called the Scotland of India, Coorg is a must visit for its amazing scenery and lush greenery. This hill station is also a popular coffee producing region (you can also buy coffee to take back home) and has a number of spice plantations you can visit as well. 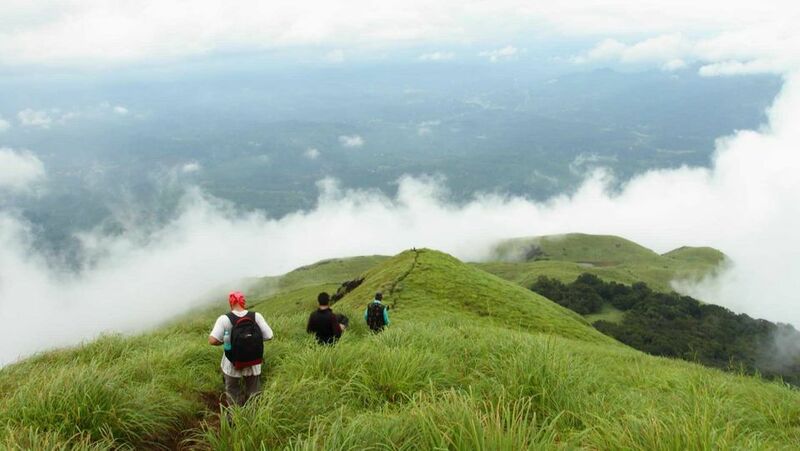 Apart from the great weather it offers, Coorg also offers golf and trekking options. Do make it a point to pick up some coffee here. The monsoon is also a great time to visit this beautiful hill station. Stay in one of the Treebo Hotels in Coorg, for a memorable trip. With its lush rolling hills, beautiful botanical gardens, serene lakes and lush tea gardens, Ooty is the perfect place for a romantic weekend getaway with your partner. There are a number of places to visit here in Ooty such as the Doddabetta Peak, Ooty Lake, St Stephen’s Church, and Kalhatty Waterfalls. This place is popular with families too as you won’t be bored here as there is lots to do as well such as the Nilgiri Toy Train rides, boating in Ooty Lake, mountain biking in the Blue Mountains and more. Traveler tip: Try to visit during the annual Tea and Tourism Festival (Jan) and Summer Festival (May). If you’re up for a road trip, make sure to include a pit stop at Wayanad. This small town packs a punch with things to do, foods to try out and places to see. A trip here would be incomplete without a visit to the gorgeous Sentinel Rock Falls and Kanthanpara Falls. If you’re an animal lover, you will especially love the activities this green hill station has to offer. We recommend spending at least 3-4 days here so that you can truly unwind. Traveler tip: The Muthanga Wildlife Sanctuary is worth checking out. One of the less crowded hill stations, this is located at a height of 826 metres and is best for a large group of friends or family. Its lush greenery, peaceful vibe and ambient climate make it the perfect spot for trekking. Here you will see streams, a wide selection of trees and rolling hills. So, if you’re looking for a relaxed weekend with your close friends, put this on your travel list. Traveller tip: Do check out the Lord Gopalakrishna temple, a 14th century temple that exhibits Hoysala art. A secluded region in the abundantly green forests of Sahyadri mountains, if you’re looking for something a little different, this is it. Yana offers nature at its best thanks to its tall mountains, vast rock formations, calm waterfalls as well as holy temples. If you want to go on a trek, the Yana temple which is a well-known pilgrim spot is around a 2 kilometres trek from the main village. Traveller tip: Make sure to carry your camera and a good pair of shoes if you plan on checking out the rock formations. Kodaikanal is a relaxing hill station located around 7000 feet above the southern tip of upper Palani hills that offers tranquillity. If you crave a few days away from the chaos of the city, then make sure to visit this place filled with natural beauty. There are a number of tourist attractions here too such as Kodai Lake, Bryant Park, Coaker’s Walk, Bear Shola Falls, Silver Cascade, Pillar Rocks and a lot more places you can visit. Stay in one of these hotels in Kodaikanal for a great experience. Hill stations are the ideal way to get a little rest and relaxation in. So, pick your place, pack your bags and make some memories at these 11 hill destinations near Bangalore.